has been serving Regina and surrounding area since 1918. 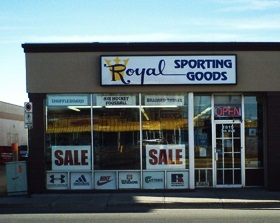 We provide a wide variety of sports and home recreation products and personal service to our customers. Looking for that specialty item you just can't seem to find in the 'big-box' stores. Getting outfitted for the season; or adding some family fun to your rec room. Whatever your needs, we will do our best to help you out. on 7th avenue, across from the sears bargain centre.